Chassis Number 1121094 is this Black car with Dark Tan Leather interior, currently believed to be residing in CO, USA . It has the following modifications from the standard european model on offer at the time of manufacture: Bravo type wheels. 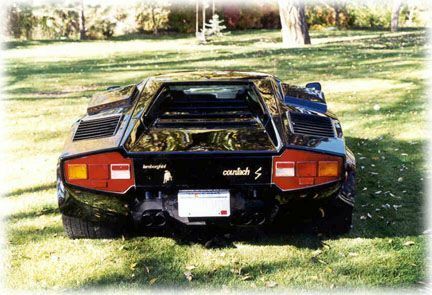 Rear wing..
Other Information: This first series Countach left the factory in September 1979 and was first sold by the Hubert Hahn dealership in Dusseldorf, Germany. 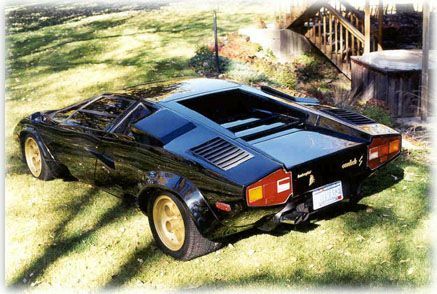 Originally finished in the striking color combination of Blu Acapulco over natural leather with gold Bravo wheels, it was soon repainted black while in Europe in the early 1980s. In 1984, the car was imported to the United States under “exempt” status, meaning that the performance-robbing steel bars in the doors, catalytic converts, gas restrictor caps, smog pump, larger bumpers, and braces in the rear trunk were not added and it remained true to its original factory specifications. The 4.0-liter engine is factory stock with its six 45 DCOE Weber carburetors, 10.5:1 compression ratio, and high lift camshafts with a redline of 8,000 rpm. In 2002, the drivetrain was removed to perform a comprehensive service and rebuild to ensure its mechanical condition and future reliability. The pistons, crankshaft, liners, and rods were all carefully checked and found to be in excellent condition. The valves were replaced with new items, the valve springs were reconditioned, and new valve guides were installed. The radiators were reconditioned and new radiator fans helped the cooling system. New rings, oil lines, a throw out bearing, a clutch disk, gaskets, thrust bearings, and countless other items in the engine were also replaced at this time. More recently, the current owner replaced the old heavy exhaust with a period-correct Ansa Sport exhaust system. To prevent corrosion and for more efficient heat insulation, the exhaust system was ceramic coated. The shocks were found to be in good working order when the suspension was re-done three years ago and new brake pads were installed in 2014. In 2015, the drivetrain was removed once more so that the transmission and engine could be properly serviced. At this time, a new clutch disk was fitted, the seals and an aluminum ring in the transmission were replaced, all six carburetors were cleaned, the timing was set, the fuel pumps were repaired, fuel lines were replaced, and the top of the engine was blueprinted. In 2016, further work was performed, including repairing small cracks from age in the tube frame brackets, cleaning and re-sealing the undercarriage, and replacing all the hoses. The air conditioning system was serviced and blows cold, the clutch (including the master and slave cylinders) was replaced, and small dents in the aluminum fenders were repaired. To return the car to factory specifications, the bulky square reflectors on the rear fenders were removed, correct Sebring mirrors were installed, and the bull that had been added to the rear panel was also removed. The roof, engine lid, and rear portion of the car were repainted. While the original leather interior remains in great condition, the carpeting was replaced 10 years ago. 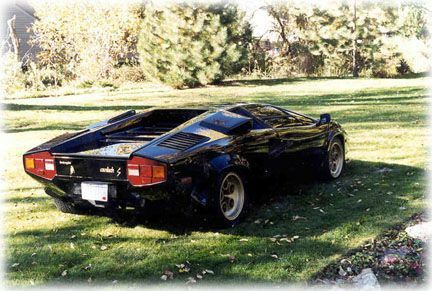 This is an attractive, well-sorted, low-body Countach that is being offered by its owner of 22 years. Many of these cars have become the victims of modifications and a lack of maintenance, but this example remains entirely stock and has always been regularly driven and carefully serviced. The owner reports that it is incredible to drive on fast mountain roads and that the car is rust and accident free. Included with the sale are extensive records and photos documenting all of the work the owner had done to the car, import records from 1984, the original owner’s manual, original engine manual, and two reprinted technical manuals. 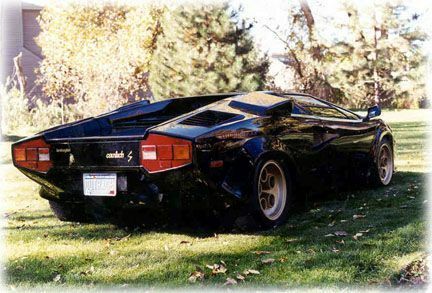 This Countach is an exceptional classic supercar that will keep turning heads for decades to come. sold at RMSothebys April 2017 Arizona Auction for $429,000. Information on this car was sourced from David Anderson / RMSothebys.com. The data on this specific vehicle was last updated 20-Nov-2018.